If you took The Muppet Show, The Electric Company, H.R. Pufnstuf, and Fraggle Rock and mixed them all together in an 80s blender, it might look a little something like this (see the video below). 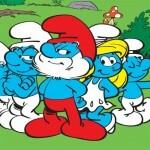 Do you still know all the words to that theme song? I do. The Great Space Coaster ran in syndication from 1981 through 1986. 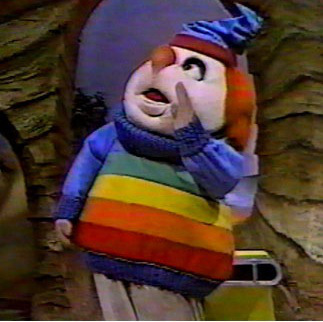 It was a children’s show featuring both puppets and people — the main character of the show was a GIANT puppet, or a man in a puppet suit? I don’t know what it was — it was a big-kind-of-freaky-clown named Baxter. Baxter drove the Space Coaster and as you saw in the opening credit, he would swing by and pick up the three people-stars of the show, Danny, Roy and Francine and take them to Coasterville. 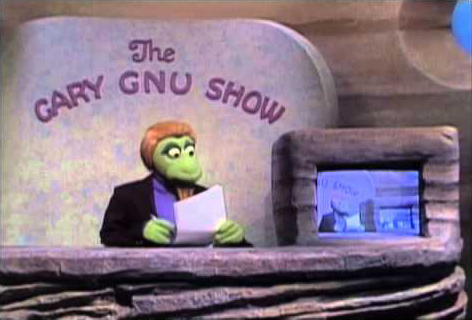 In Coasterville, the group would hang out with a talking woodpecker with a pink feather fan who tells knock-knock jokes on a loop, a robot-like elephant who enjoys gardening, and probably the most memorable news anchor gnu in history, Gary Gnu. Like The Muppet Show, The Great Space Coaster featured guest stars like Mark Hammill, Sugar Ray Leonard, and Marvin Hamlisch. Danny, Roy and Francine had a band and would perform hit songs of the day on the show – I remember a rousing rendition of ‘Flashdance (What a Feeling)’ with Francine belting her little heart out. 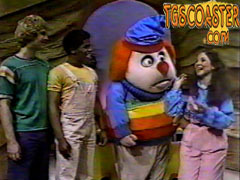 The show often focused on issues or problems that kids would typically face. For instance, I will never get this number out of my head: ‘Yes I can.’ Predictably, ‘Yes I Can’ was all about having confidence in yourself; when you didn’t think you could do something, just say three little words . . . I also still sing this one today; football great “Mean” Joe Greene was serenaded by the entire cast glorifying him. 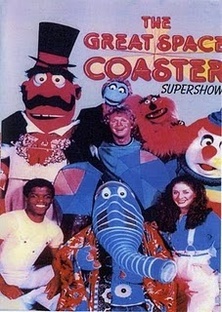 The Great Space Coaster was a great show; it was educational, but silly. It had music and puppets. 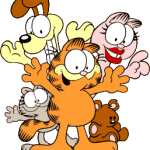 It was kind of like a little variety show with all of the different cartoons, segments, songs, and endless laugh tracks. It must have done something right; sometimes, when I feel nervous about something, I still sing that “Yes I Can” song to myself in my head. That’s a good show. It’s a place where dreams fly fast and free, after all. 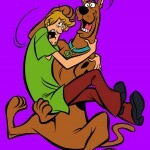 I thought I was the only one who remembered this. 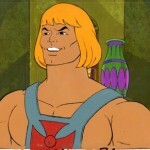 No one else my age seems to remember it. If you’ve seen it you remember it….the show where “No Gnus is good Gnus…” Ahahaha….that’s awesome!